Being a successful essay writing, whether a student is in high school or college, depends on much more than just the words the student writes. Finding success when writing an essay comes from determination, research, organization skills, and more. Below are some of the key components that contribute to student success when writing an essay. Having organizational skills is imperative if students are to succeed in their writing, as well as in their other classes and assignments. There are several ways in which students can improve their organizational skills in a way that will also help them with their essay. One of the best ways to use organizational skills in an essay is to write an outline for an essay. An essay outline can help students to organize their paper before they even begin writing it. Most essay outlines begin with an introduction and/or a thesis statement, have a bulleted list of main points to be included in the body of the essay, and a conclusion. To see some essay outline examples and template downloads, click here. Another way for students to stay organized is to take notes as they do their research. This can also help to save time in the long-run, as students won’t need to re-read entire articles and pages. There is no specific way a student needs to take notes in order for them to be effective. Highlighting or underlining important concepts and quotes from textbooks and articles or other resources that have been printed out on paper can also be useful. The better a student understands the topic they are writing about, the easier it will be for the student to write their essay. The best way for a student to become more acquainted with their topic is to research it. One of the easiest ways for a student to learn more about their subject is to do a simple good search. Also, utilizing their school’s library can help them to find print resources they can use for their essays. Doing research cannot only make writing an essay easier, but it can also make writing an outline for an essay easier. By doing the research before a student even begins writing their essay, they can know what type of main points they want to include in the body of their essay. Having time management skills is not only important when students write essays, but it is also important in other classes and outside of the classroom as well. Having time management skills can help students both save time and save stress when writing essays or completing other assignments. One of the best ways for students to nurture their time management skills is to keep a planner or a calendar where they can write down the due dates for their assignments. Doing this can make sure students always know when their assignments are due. Keeping a calendar or planner can also help students to plan ahead. They can write down times to work on future assignments on days when they do not have much homework. This is an especially great way to save time and stress when students have large assignments to complete. Even when it may not seem like it, teachers are there to help students in need. It’s their job to help students understand their assignments. Students shouldn’t be afraid to ask teachers for writing help when they need it. Whether they ask questions about their assignments during or after class, asking for help can save students a world of stress and confusion. Often times, when one student has a question about something, it is likely that another student in the class will have the same question. By being the one to raise their hand and ask the question on their mind, they may not just be helping themselves, but another classmate or two as well. If a student is too shy to ask a teacher for help, then they can always turn to a friend, a family member or even an essay writing service which can be helpful too. Students can ask for help when it comes to everything from coming up with ideas for an essay to editing the paper when it is completed. Lastly, when it comes to writing essays or doing any other type of assignment, practice makes perfect. It’s an age-old saying, and it’s so often repeated simply because it’s true. One way for students to practice writing is to keep a journal or write stories. Spending time writing about fun topics can make writing essays not so bad. When some students think of journaling, they might think of keeping a diary and writing about their feelings. Since that is too touchy-feely for some students, here are some other ideas for things for students to write about. If students don’t know what to write about, they can use a journal topic generator. The generator provided gives a one-sentence-long prompt. These prompts are vague, which gives students lots of room to play around with in their journal. The more creative the responses, the better! 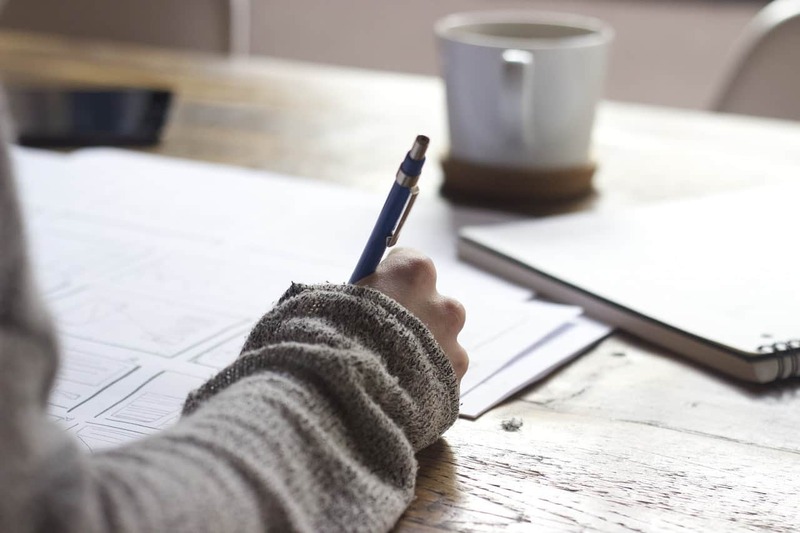 The key factors to becoming a successful essay writer are the same as the key factors needed to be a successful student. If students keep these tips and ideas in mind and implement them into their daily lives, then they are sure to become a better essay writer and student.